Like most other part 3 history students this year, I was slightly confused as to what the new ‘enhancement week’ was and what activities would be taking place during this week. I was pleasantly surprised to hear that it was not just a ‘reading week’ and that two of my modules were going to be taking the class out on trips. 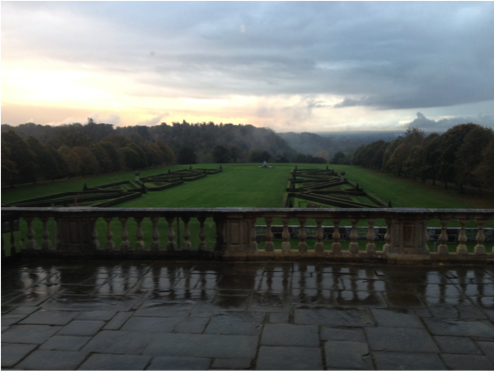 The first of my trips took place on Tuesday 4th November to Cliveden House, which was built in 1666 by the 2nd Duke of Buckingham. Buckingham actually built Cliveden as an estate that he could use for hunting, and a place to take his mistress. The house then went on to be used by a vast number of aristocrats and hosted monarchs, including Queen Victoria for who Spring Cottage was built for her to take tea. 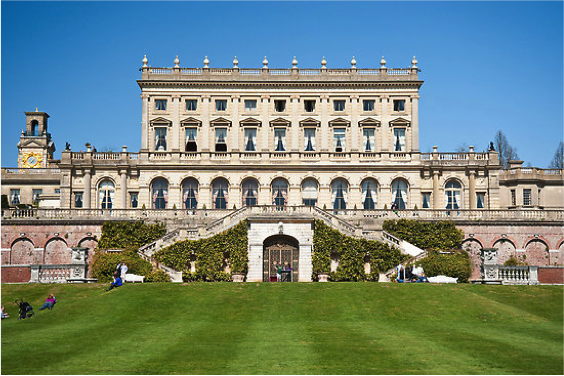 America’s richest citizen William Waldorf Astor then purchased Cliveden and gave it as a wedding gift to his son, Waldorf and daughter-in-law Nancy Astor in 1906. Now, once our group came to terms with the harsh reality that Nancy received this amazing 375-acre estate as a wedding gift, yet we will probably receive a kettle or microwave as wedding gifts, we entered the building. The first room we walked into was a large lounge, and the magnificence of the room really hit the whole group. It was brilliant for all of us Nancy Astor fans, as we were standing in the room that she entertained many historic guests- such as Winston Churchill, Gandhi, Charlie Chaplin, and President Roosevelt etc. After an introduction by lovely Sue Williams, who is now the General Manager the property, we were taken on a private tour of the building. As a history enthusiast, a stand out moment of this tour was going down into the basement of the building and standing inside a seventeenth-century wine cellar. Similarly, the whole of our group were massively enthusiastic about going inside Nancy Astor’s study- which has remained decoratively sound. We could just imagine Nancy sitting at the desk in this beautifully light room, decorated in pale blues and whites, with big open windows overlooking the geometric parterre in the gardens. 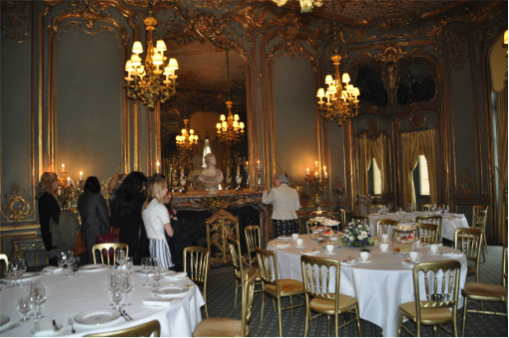 When the tour was over, Sue was kind enough to treat the group to afternoon tea in the ‘French Dining Room.’ You can only imagine how overwhelming it was to be sitting at the same table that Churchill, Gandhi, Garibaldi- and the likes- had sat at, eating scones and drinking tea out of fine china. The trip was amazing, and it was so brilliant for us to be given a tour around this historic building. On Thursday 6th my luck continued as I was taken on a trip for Jeremy Burchardt’s Special Subject. The trip was to Stowe to see the landscape gardens that were created by Lord Cobham, a highly influential 18th century aristocrat and politician. At their best, this family was richer than the King, and these gardens reflect this very well. 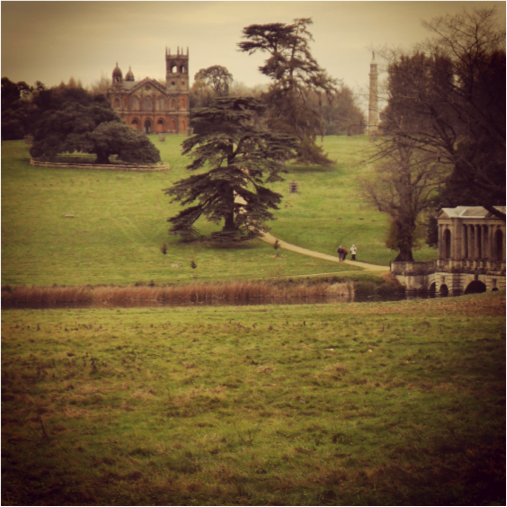 Stowe really was a place in which Cobham was able to show how fashionable and cultured he was, through moving away from the tradition of geometric and controlled landscape gardening, to a more natural style of landscape gardening. This landscape includes many beautiful lakes, temples, and was designed by the one-and-only ‘Capability’ Brown. As we walked through the grand gates of Stowe, we stood inside the Western Lake Pavilion (to protect ourselves from the wind) and looked up to see an awe-inspiring image. In front of us was the Octagon Lake, beautifully designed to look natural and as if it had always been there. Behind the Octagon Lake was an enormous green lawn, with Stowe House standing at the top of the green lawn. It really was a view that you could stand and look at for hours, taking in the beauty of the landscape. The group and I then had to make the decision of whether we would follow the ‘Path of Vice’ around Stowe, or whether we would take the ‘Path of Virtue.’ As appealing as the ‘Path of Vice’ sounded to many of the group, we decided that the ‘Path of Virtue’ would be the most beneficial path to take as it meant we could explore many more temples and buildings on the estate. We first encountered the Pebble Alcove which is architecturally very Roman-like, and has beautiful patterns inside the alcove all made out of tiny, different coloured pebbles. After a short walk up the path we reached the ‘Temple of Friendship’ which really is an amazing place to stand in Stowe as you can look out and see the Gothic Temple, Queen’s Temple, Lord Cobham’s Pillar, and the Palladian Bridge all in one place. It was very carefully engineered to be this way, as the Temple of Friendship is the place in which Cobham would entertain many of his male guests. Thus, walking out of the Temple of Friendship, these guests faced an incredible view of different architectural styles and beautiful gardens, once again being reminded of how wealthy and cultured Cobham was. A stand out moment of the trip for me was walking down to a beautiful lake, which had a grotto built into the rocks above the lake. At the very end of the lake there was the ‘Temple of British Worthies’, which was designed by William Kent in 1734. This temple is built in an Italian style, and has sculptured busts of 16 ‘British Worthies’ and an inscription above each figure. I found it very interesting to see who was chosen as these so-called ‘British Worthies’, many of which were philosophers, poets and scientists, such as William Shakespeare, John Locke, and Isaac Newton. The group and I truly had a fantastic day walking around Stowe; viewing the beautifully engineered gardens and temples, and are very thankful that Jeremy Burchardt for taking the time and effort to plan the aforementioned trip. Similarly, the group of us who were taken to Cliveden by Jacqui Turner and Elizabeth Matthew are also very grateful for the time and effort that was taken to plan this trip. Now, what is it that we have planned for enhancement week in Spring Term? 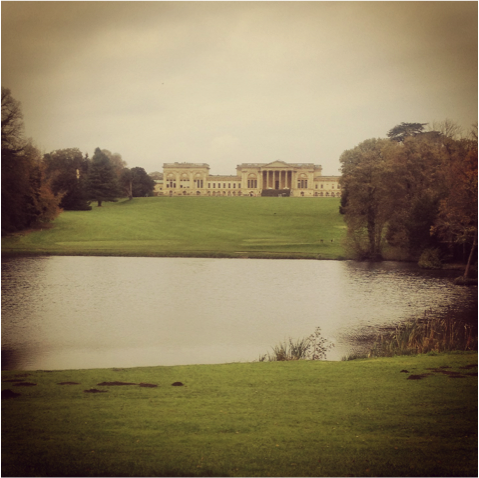 This entry was posted in Students Page and tagged Cliveden, Enhancement week, Stowe House. Bookmark the permalink.